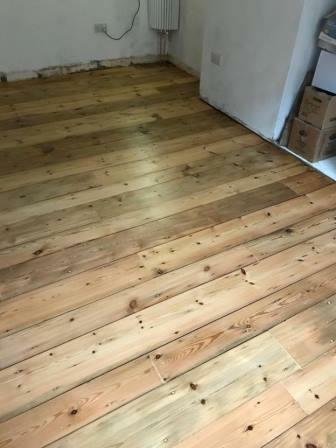 We carry a large stock of original reclaimed wood and craft the timber to harmonise perfectly with your wooden floors. 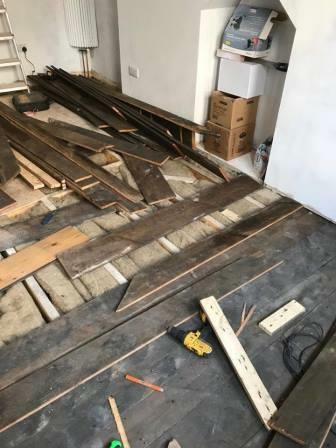 Georgian, Victorian and Edwardian flooring boards are wider than modern timber flooring, as experienced craftsmen we create repairs that are beautiful in their own right and will last as long as the boards themselves. 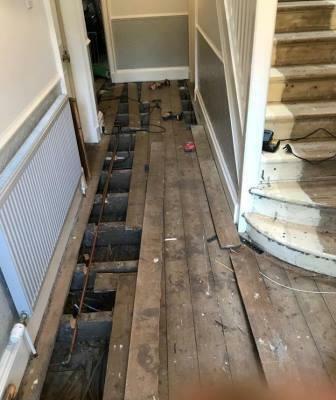 Reclaimed wooden flooring is stronger and will last longer than flooring produced from newer timber because the older wood is less likely to split, it has already done all the expanding and contracting it’s ever going to do, it is already dried out and won’t do so any further. The grain in the reclaimed timber is much denser than the new wood which means it’s less likely to warp. Vincent personally selects reclaimed flooring in keeping with the style of your home to give your wooden floor a unique and authentic character. Reclaimed wood is pretty scarced however Vincent has sourced a large stock of reclaimed timber. 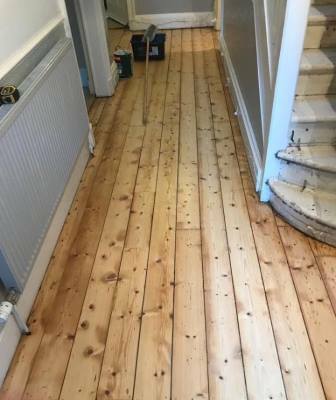 Prior to be used the boards have to be denailed, expertly cut and sliced to match your original flooring width and thickness, one repaired and finished meticulously your floor will become a wonderful focal point for your house, adding to its value and sense of homeliness.